Hey folks! I just posted on the main site a great Q&A session I had with Brian Flinn, Wide Receiver Coach and Recruiting Coordinator at Villanova University. 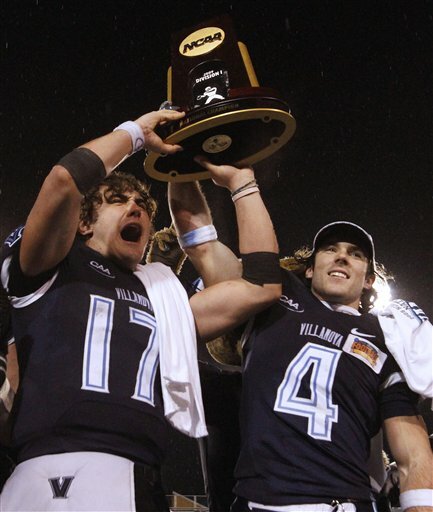 Villanova is a spread offense team, and they are the 2009 NCAA Division 1 (subdivision) champions, beating Montana. In addition to the Q&A, Coach Flinn also sent me a bunch of video clips to go through... really looking forward to diving into that, and I'll get some of it posted either here or on Spread Offense TV as soon as possible. What Will Texas Tech's Spread Offense Look Like In 2010? Hey folks! I think one of the biggest questions coming into the 2010 season is, what will Texas Tech's offense look like post Mike Leach? Now with Tommy Tuberville as the head coach (formally from Auburn) and Neal Brown the offensive coordinator (formally from Troy University), The Red Raiders will be running under a little different philosophy on the offensive side of the ball. Just to give you a little taste of what you'll see, here's a video of Troy's offense versus LSU in 2008. Notice the fast pace of the offense, they are in 'Indy or Jet' mode a lot of the time, trying to out pace, confuse, and wear down the defense. I also think you'll see Tech run the ball more, especially if it's working as this is what Tuberville likes to do. I'm looking forward to seeing the new Texas Tech Offense in 2010!